The Magic Valley Airport Terminal Expansion and Remodel is an 8,000 ft2, $2.9 million addition to the existing Magic Valley Airport. 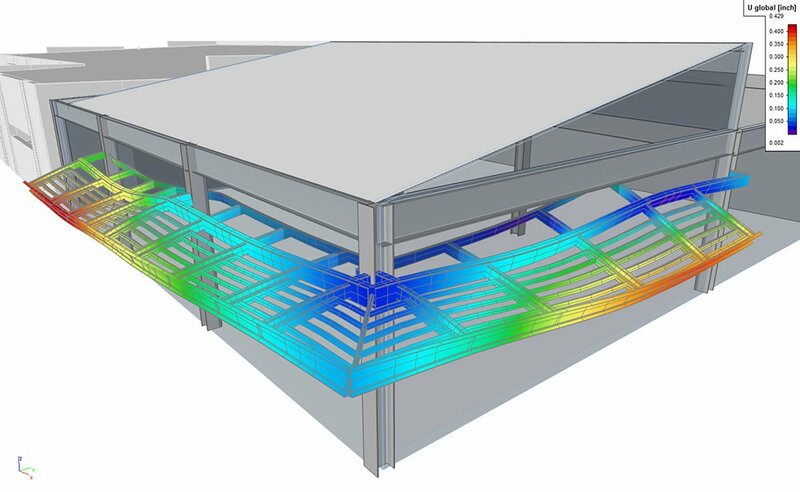 The gravity system is steel deck over open web steel joists that are supported by steel wide flange beams. In some cases, the architecture called for the use of curved roof joists. Wide flange columns were used, which for the majority of cases doubled as the lateral resisting moment frame system. 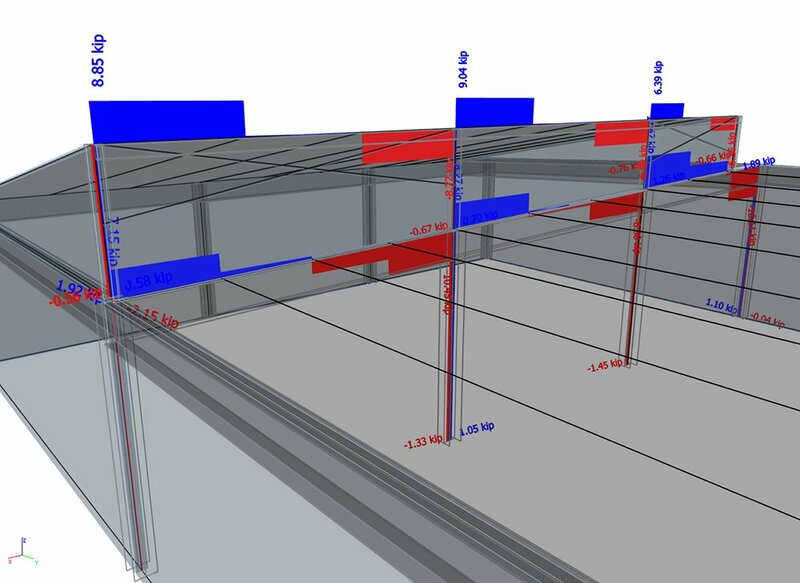 The project utilized an OpenBIM workflow by exchanging models as IFC files. Architectural BIM models generated in Revit were exported as an IFC file to ArchiCAD where they were modified for structural use. Then the ArchiCAD file was exported via IFC to SCIA Engineer for model construction, loading and engineering analysis. We used SCIA Engineer’s 3D wind load generator to aid in the wind loading of the structure and the built-in steel deck diaphragms to accurately deliver the appropriate loads to the resisting elements. 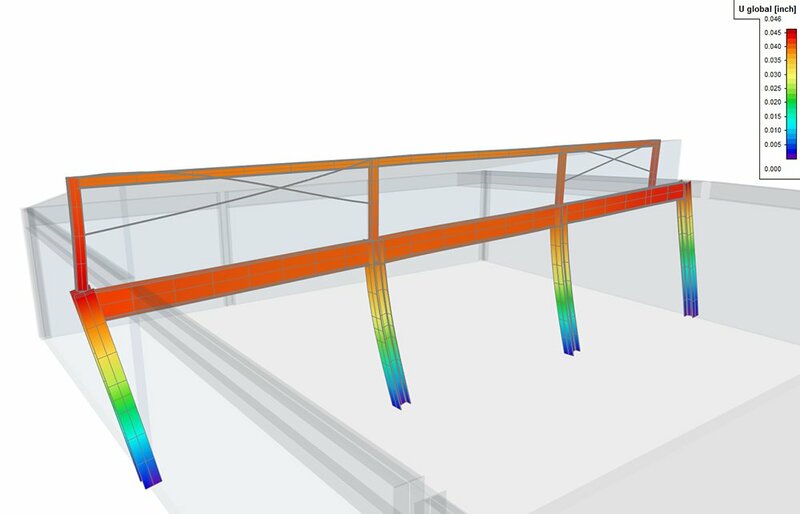 As with any self-supporting structure adjacent to an existing structure, it was required that the deflection of the new building was analyzed carefully. SCIA Engineer helped dial in on this number reducing the required gap significantly.